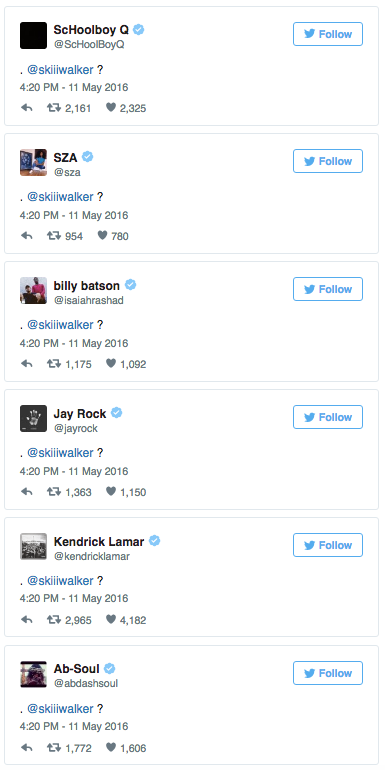 It looks like we’ve found out who John Doe #1 is out of the TDE camp. 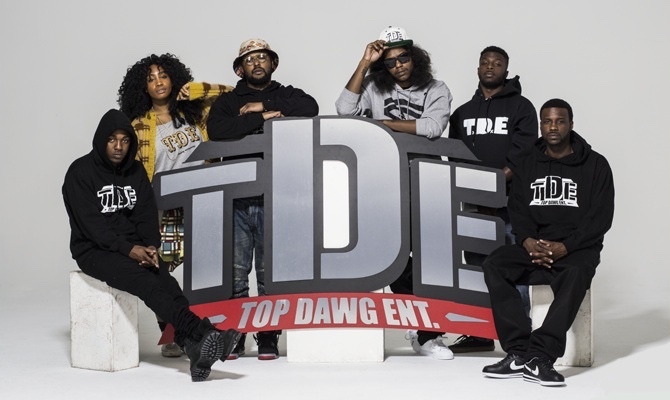 Back in February TDE revealed their plans for 2016 as far as albums go & also hinted at two new signees joining the label. Today it appears we’ve learned the first signee as all 6 current members of the label sent out the exact same tweet hinting at Lance SkiiiWalker being the newest addition. Lance has been involved in a few collaborations with TDE in the past, most notably on Jay Rock’s recent 90059 album. No official statement has been released yet, but it’s pretty clear when you do a little digging. If you head over to his twitter here, you’ll see he only follows 21 people, all of whom are affiliated with TDE. Check out the tweets below.